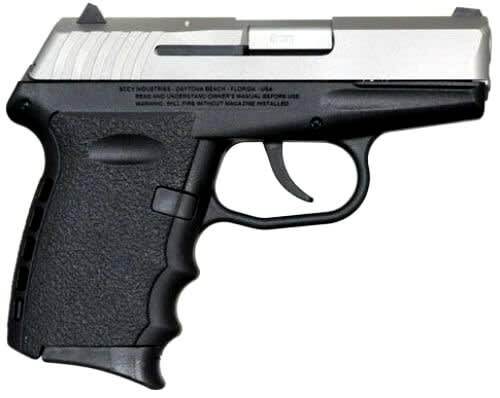 SCCY 9mm Polymer Frame Pistol Model CPX-2TT, Satin Stainless Slide on Black Polymer Frame, Two-Tone, 10+1 Capacity, Double Action Only. No Manual Safety. Includes 2 Mags, Trigger Lock. 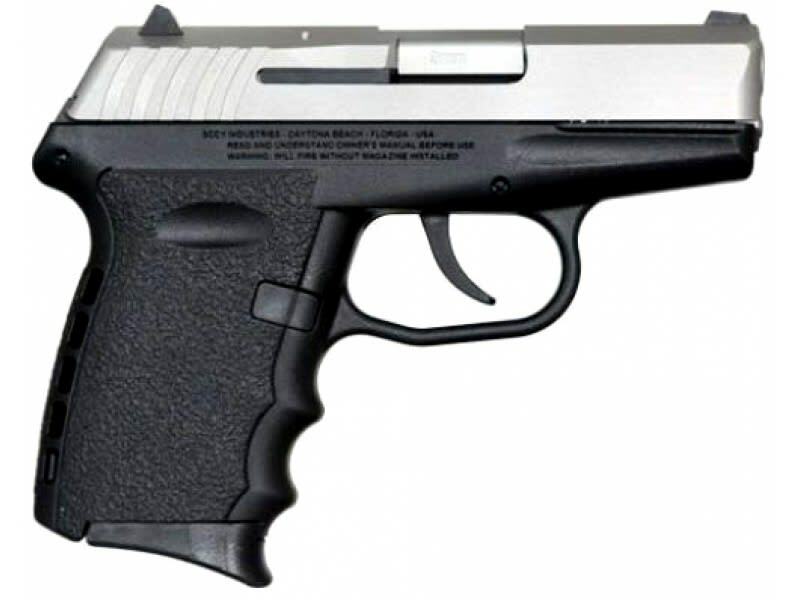 Made in U.S.A.
See ALL SCCY pistol and color combinations here. 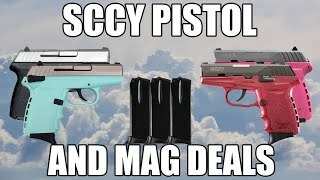 They come with 2 mags with changeable floor plates, a trigger lock, and the best warranty in the industry. The CPX-1 series comes with a manual safety, The CPX-2 series does not have a manual safety. Barrel: machined from bar stock with 7 lands and grooves having a 161 right hand twist. Receiver: 7075T6 aircraft grade heat treated aluminum alloy, machined from bar stock. Grip/Frame: Made from Zytel polymer, with ergonomic finger grooves and an integral "RE-COIL CUSHION" on the backstrap. Includes 2 Mags, Trigger Lock, Made in U.S.A.